When you reached Middle School, you were told that there is actually a fourth state of matter called plasma. All matter is in one of those four states. Plasma is the most common form of matter, making up more than 98% of all the matter in the universe. Why didn't we tell you about it in the fourth grade? It’s too complicated, and you would not have understood. 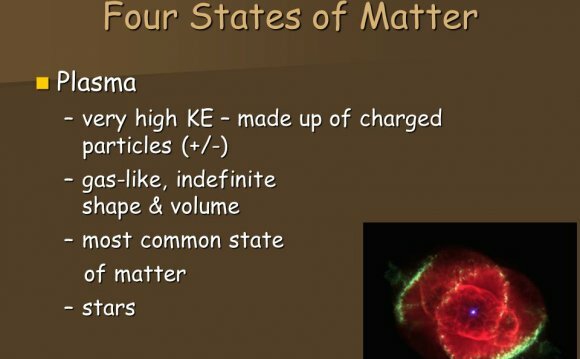 If you took High School physics, you were probably told that there are actually five states of matter. The fifth state is called Bose-Einstein Condensate. 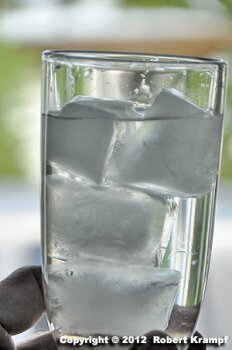 This is a very rare state of matter that only forms when matter is cooled to almost absolute zero. Bose-Einstein Condensates have been known to science since 1925, but they are too complicated, and you would not have understood. If you took physics in college, you found out that scientists are working with many states of matter, ranging from other extreme cold states (ex. Fermionic Condensates) to a variety of partially ordered states (ex. Liquid crystals). We didn't tell you about them before because they are too complicated, and you would not have understood. At first glance, it may seem a reasonable approach. After all, anything beyond solid, liquid, and gas is too complicated, and you would not have understood. Or would you? Plasma is no more complicated than solids, liquids, and gases. The Sun is made up of plasma, and so are all the stars. Fluorescent and neon lights are plasma. So are sparks of electricity, including lightning. To make a plasma, you take a gas, and add a lot of energy. That rips the electrons off all the atoms, and you have plasma. Plasmas give off light, which makes them very useful. They also conduct electricity because they have all those free electrons floating around. That wasn't so hard, was it? Now imagine that in Elementary School, someone told you that matter occurs in different forms, and that you were going to learn about the four most common states: solid, liquid, gas, and plasma. 4 States of Matter of Nitrogen, at the same exact time!